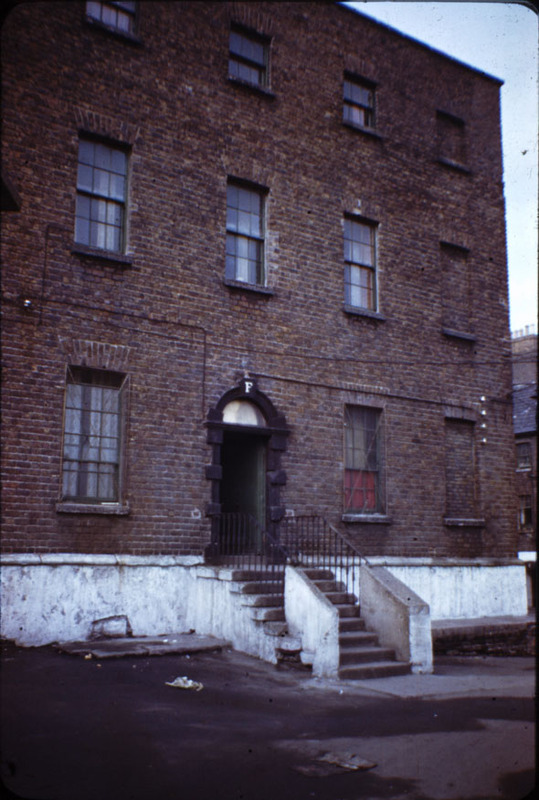 Built near the rear of Bridgefoot Street and Bonham Street to replace an earlier Marshalsea between Christ Church Cathedral amd Wood Quay. 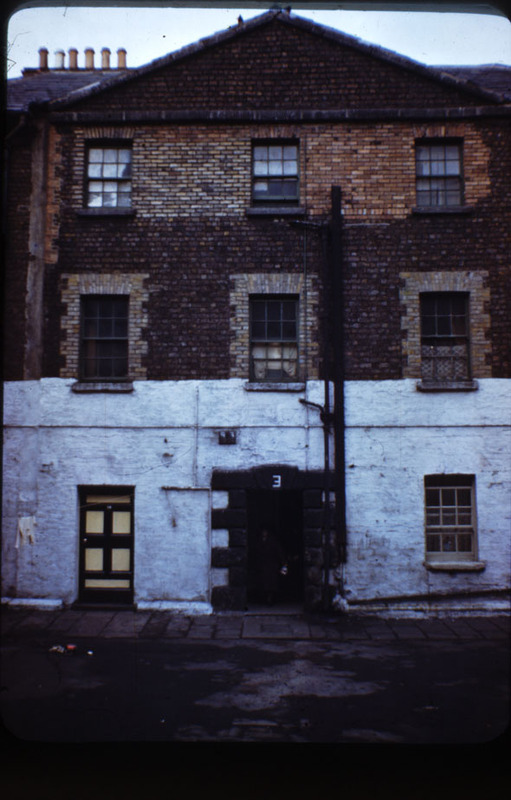 The Marshalsea was a debtors prison allowing debtors along with their families to take refuge from their creditors. The majority paid rent for their lodgings with the destitute being fed with bread. 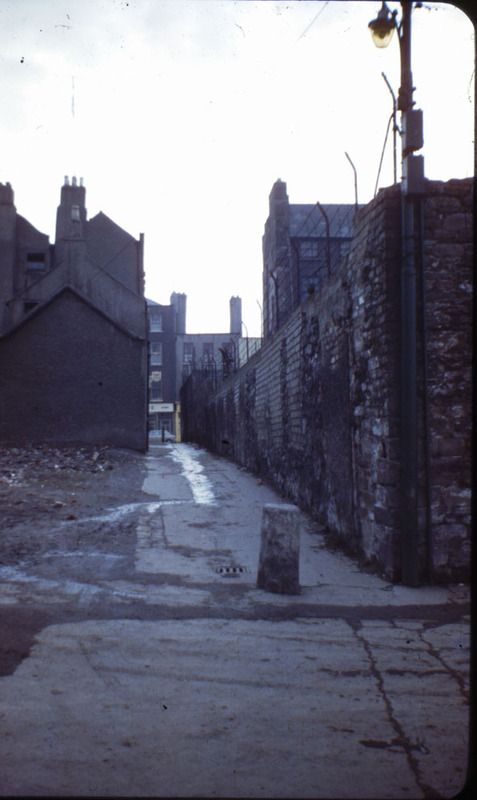 The building was laid out around two courtyards that housed the prisoners accommodation, guard rooms, a chapel and an infirmary. The Marshal of the prison had his own accommodation in the upper yard. 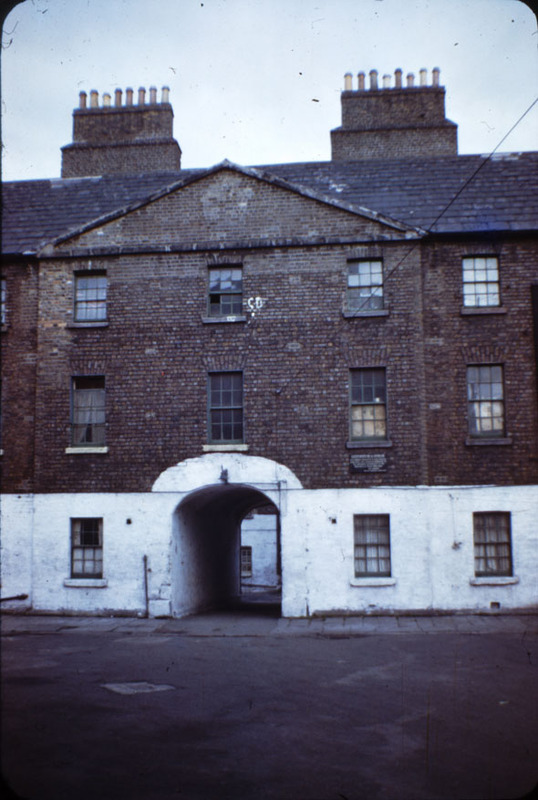 Robert Emmet used the Marshalsea as an arsenal while the Dublin Militia used it as a barracks in the later 19th century. During its use as a barracks, officers accommodation was added near the gate. 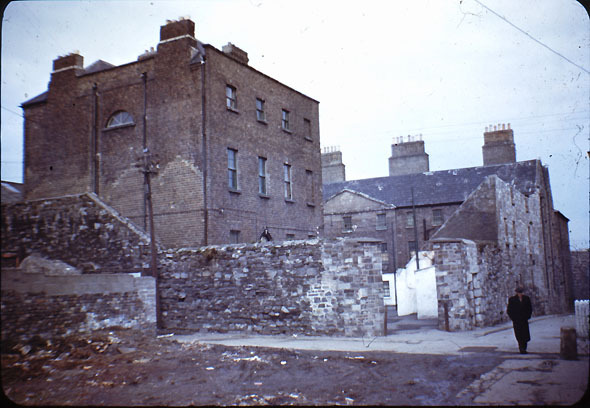 After the withdrawal of the British from Ireland in 1922, the city took over and used it as a tenement until 1970 or so. It was finally demolished in 1975. Part of the external walls still exists.